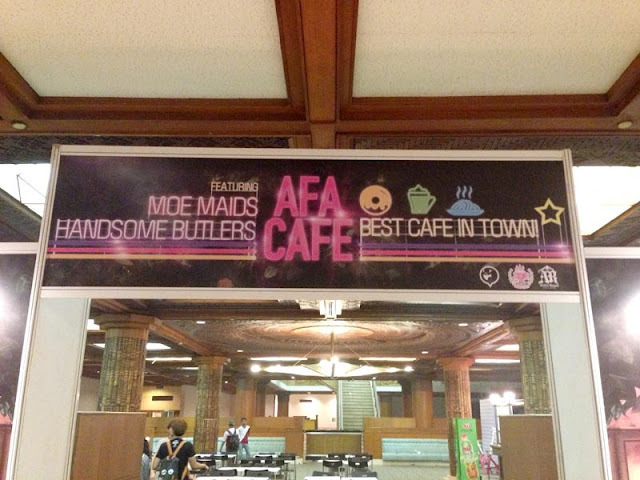 Hello everyone~(•̤ ॢꇴ•̤ ॢ) I just finished my work as a meido at AFA CAFE (AFAID13). If you follow my page or instagram you might already see some pictures I posted there. At first, I feel so awkward beside everyone because it took sometimes for me to become comfortable with people I just met (っ﹏-). I'm actually a cheerful person but sometimes I feel lazy to talk, especially if I feel nervous, lol. my look for the press con ;A; , blank expression. First day hair was twin tail~! We have Mio and Ringo that day, they helped a lot and gave tips to us. They both so pretty and kind. Many people came to meet them because on Saturday and Sunday they became Cosplay guest star~ Super cool right! 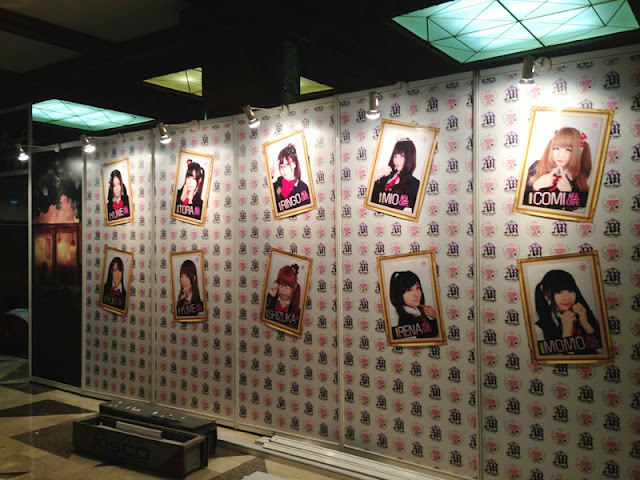 On Sunday, not many ppl came and I heard that because on Sunday there was another Japan event too. But I saw some familiar face, I think many customer came twice! With the hard-working Jasmine and Lyana! with tora-nyan~ cutest neko ever! with my puppy Nao~ :3 He's really cute and funny! lololol thanks for always made me laugh! The handsome Kenta! A really gentle man~ hahaha! Why I made that kind of face, err look so retarded HAHA -_-""
After lunch, we went back to the hotel. And everyone ready to left the hotel. Momo advised us to wait in front of their bus before they go. I always try to not cry because I really hate being mushy, hahaha and once I cry I can't stop. But suddenly I can't hold my tears anymore.. arrghhhh luckily they already on the Bus, so they can't see me cry, haha! I feel so embarrassed to cry that time, but I really can't hold my tears, lol. This awesome people is really something, hahahaha! I'm so lucky can be part of the family, all of them are so kind and friendly. I really enjoyed working there with everyone, miss them so much now! you guys all have really nice hair! how do you make loose curls like that? so they not all live in other cities? are all indonesian? all of them like a anime character!! really cute! aww now i regret that i didn't come! love your bunny stockings! I HAVE TO AGREE THAT KAEDE IS THE CUTEST BUTLER THERE. you all look lovely!! I love this post so much, you guys look amazing and it seems like you had a blast! with curling iron :) , haha some of them from Singapore and Malaysia!